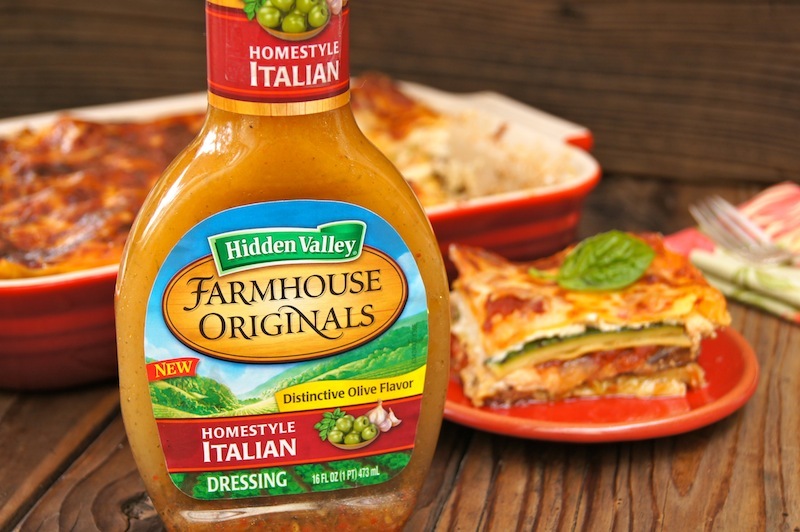 Hidden Valley Farmhouse Homestyle Italian Dressing fills this Homestyle Italian Vegetarian Lasagna with rich, wonderful flavors. 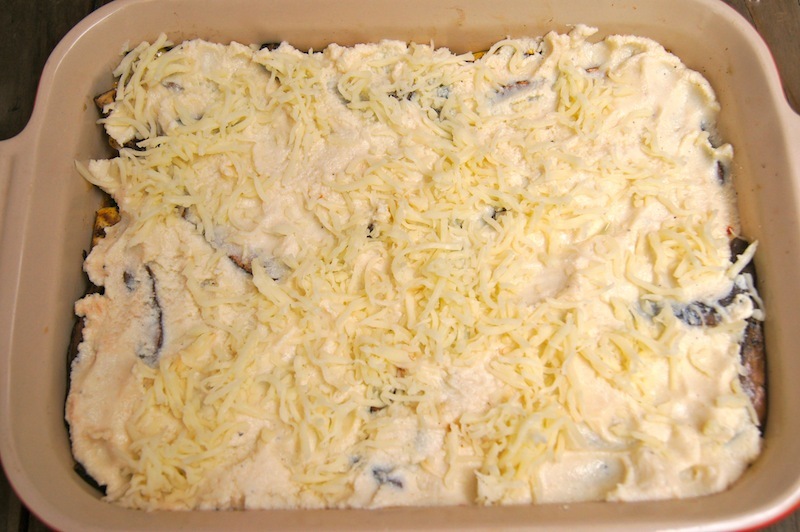 Its unique blend of ingredients adds a delicious flavor to the vegetables, cheeses and pasta, creating a delightful eating experience. 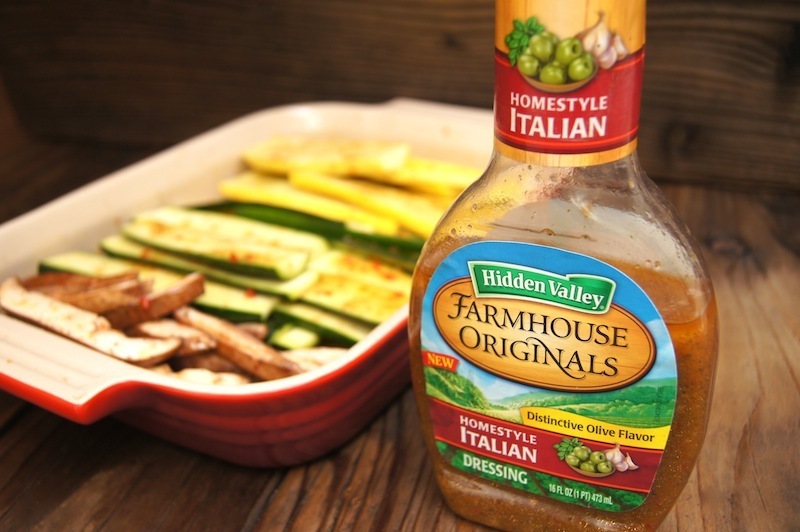 Using the Farmhouse Originals Homestyle Italian Dressing eliminates the need to add a lot of spices and seasonings, reducing steps and saving time. 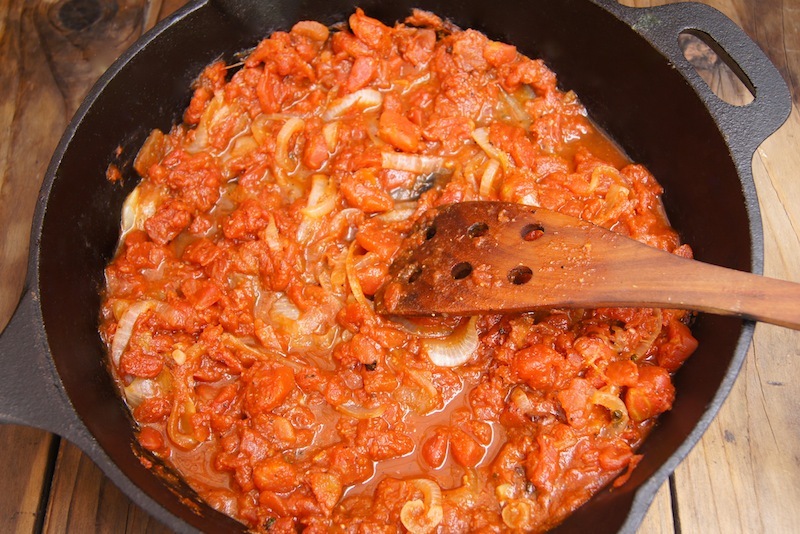 I especially love the subtle notes of red pepper and garlic because they greatly enhance the overall taste of the sauce in the lasagna. 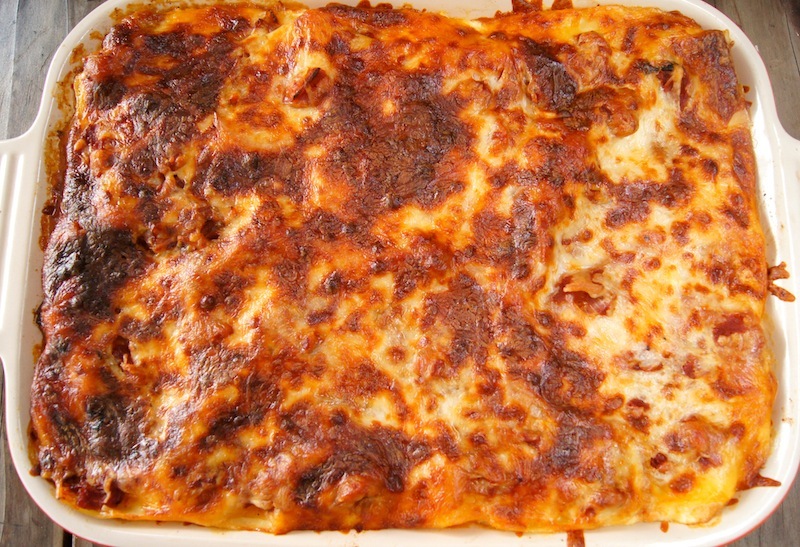 And while this is a hearty dish, the red wine vinegar in the dressing keeps this lasagna from being too heavy. This is makes for an excellent dinner that can be prepared ahead of time and that the whole family will love. Step 1: Place a rack in the upper third of the oven, and preheat the oven to 350F. 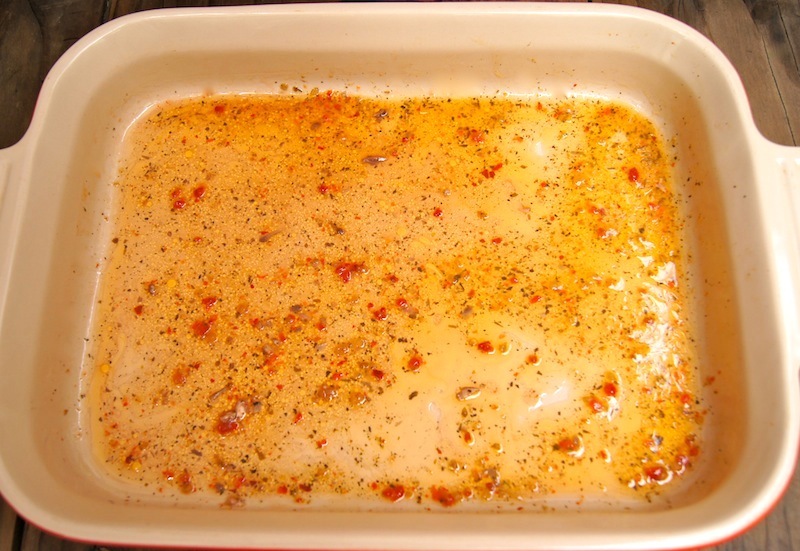 Pour ¾ cup of the dressing into a 9 X 13 X 2-inch baking pan. Set aside. 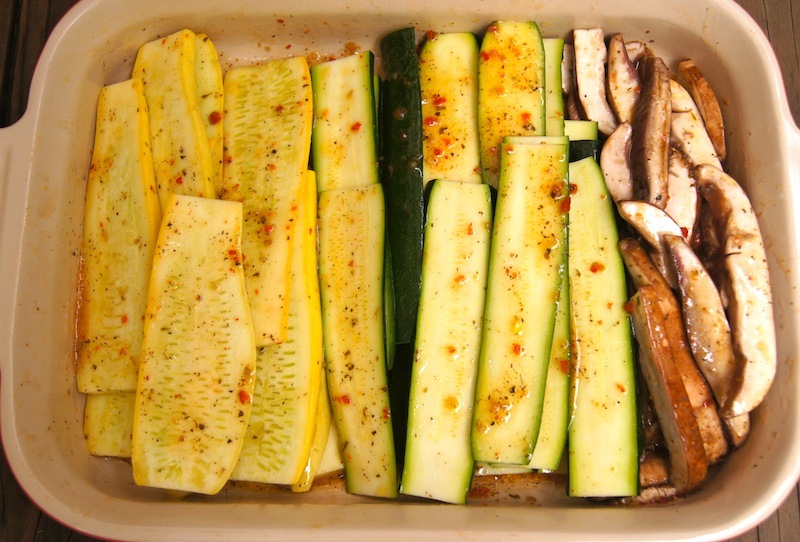 Step 2: Cut the zucchini and yellow squash, lengthwise, into thin slices (about ¼ inch thick), placing them in the baking pan with the dressing as you go. You should have about 16 slices of each. Step 3: Use a small spoon to gently scrape the gills off from the underside of the mushrooms. 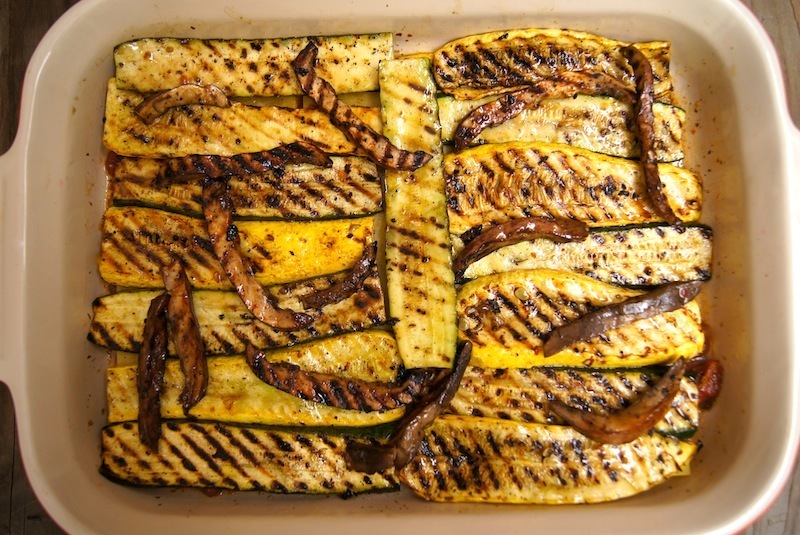 Then cut them into thin slices (about ¼ inch thick), adding them to the zucchini and squash in the baking pan as you go. Step 4: Preheat a stove-top or outdoor grill, and use your hands to carefully toss the vegetables with the dressing, until they are all well coated. 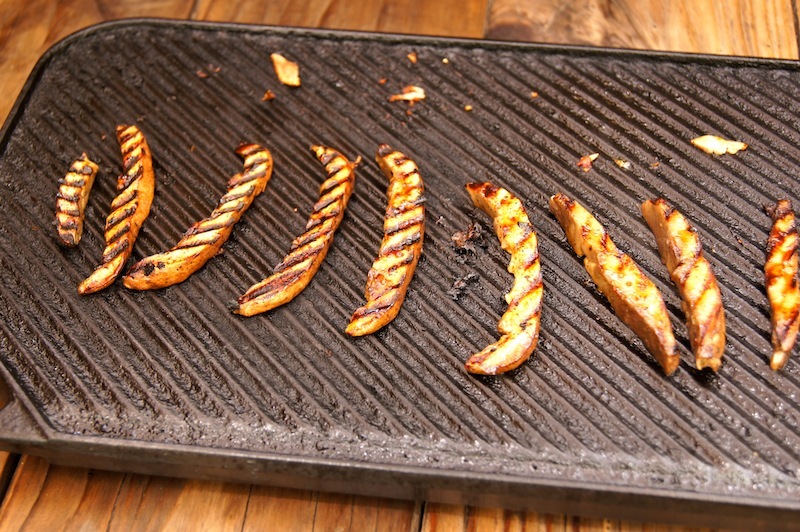 Step 5: Once the grill is very hot, add the vegetables, with at least an inch between slices. (You will likely do this in a few batches.) 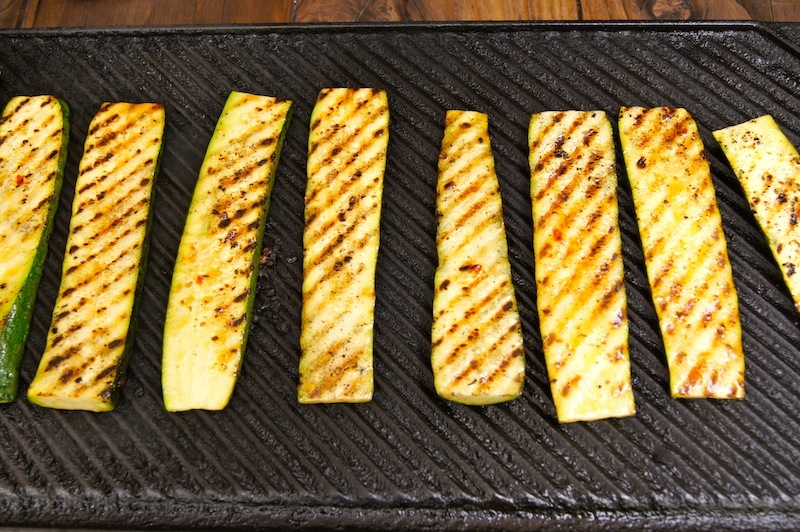 If you don’t hear a sizzling sound when the vegetables hit the grill, it’s not hot enough. 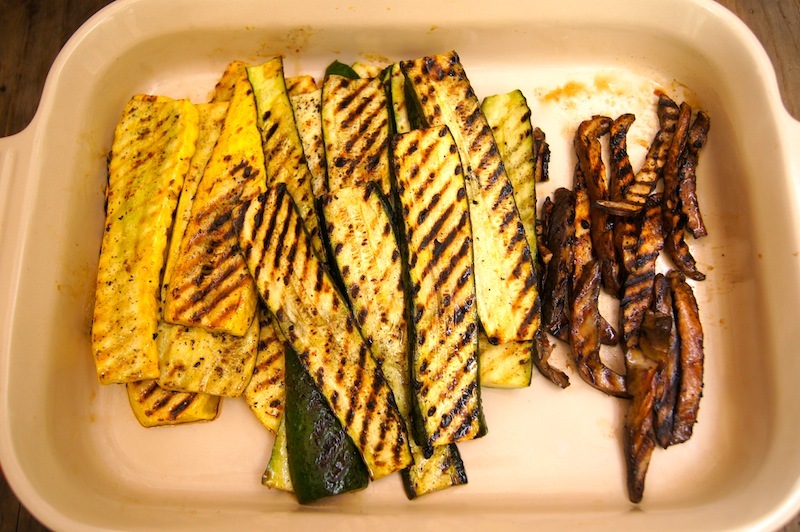 Grill the vegetables until they are nicely charred and tender, about 2 minutes per side. Step 6: As you remove the grilled vegetables, add them to a large, clean plate, but do not wash the pan with the excess dressing. This is the pan the lasagna will be baked in. 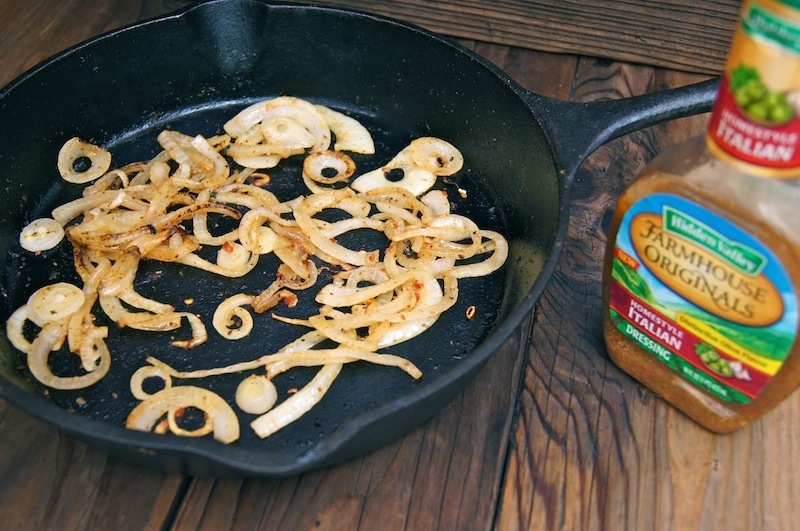 Step 7: Pour the remaining ¼ cup of dressing to a large sauté pan, and place it over medium heat. 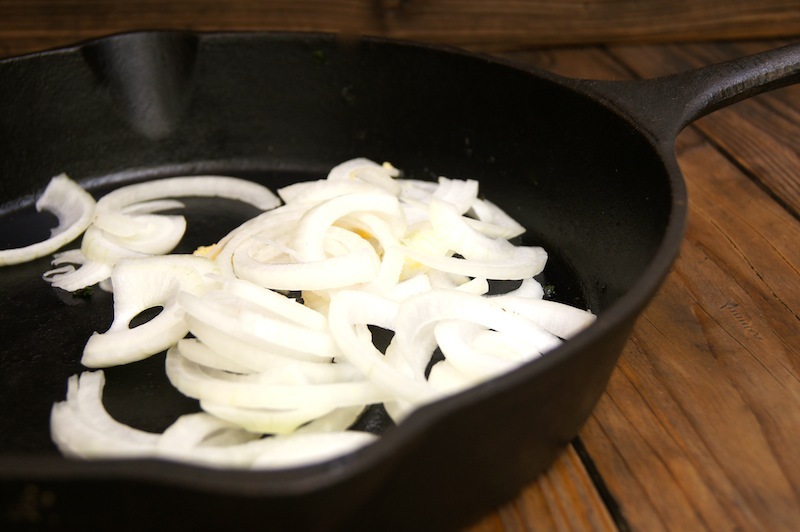 Add the onions and sauté until they begin to brown, about 7 minutes. 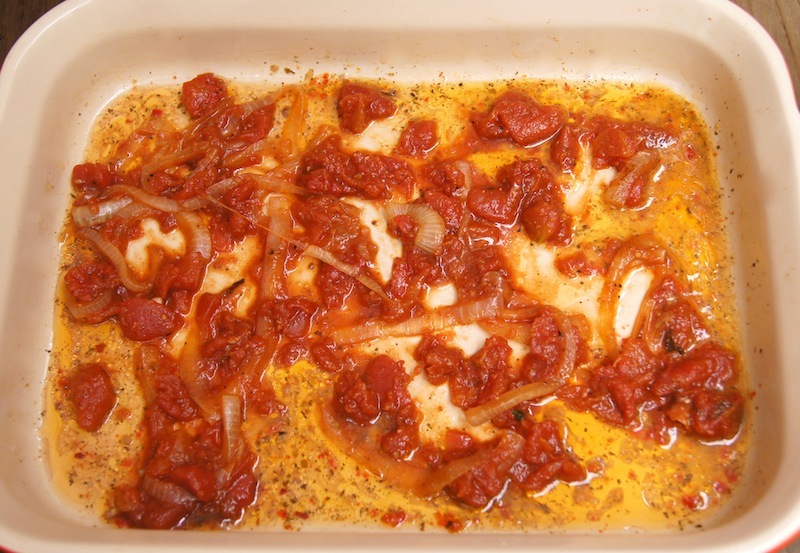 Step 8: Strain the tomatoes, and then add them to the onions. Simmer the sauce for about 10 minutes. Season with ¾ teaspoon of the salt and ½ teaspoon of the pepper. Set aside. Step 11: Now add a layer of about half of the grilled vegetables to evenly cover the noodles. Follow this with half of the ricotta mixture using a spatula to spread it out. Sprinkle ½ cup of the mozzarella on top. 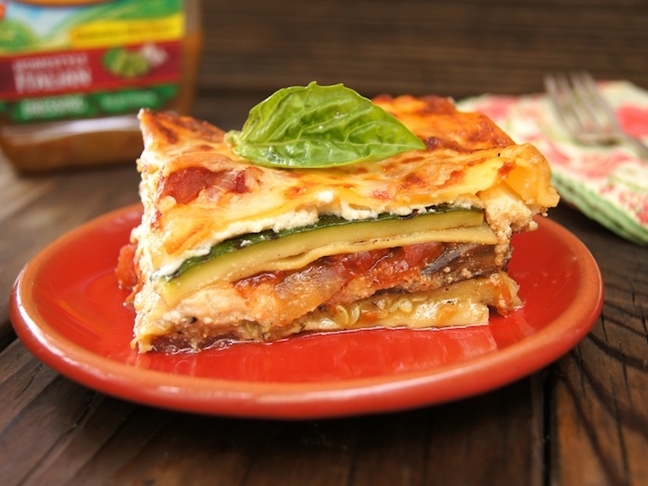 Repeat this process once, and end with a third layer of lasagna noodles, the remaining tomato sauce, and the remaining 1 ¾ cup of the mozzarella. Step 12: Place the pan in the oven for about 35 minutes. 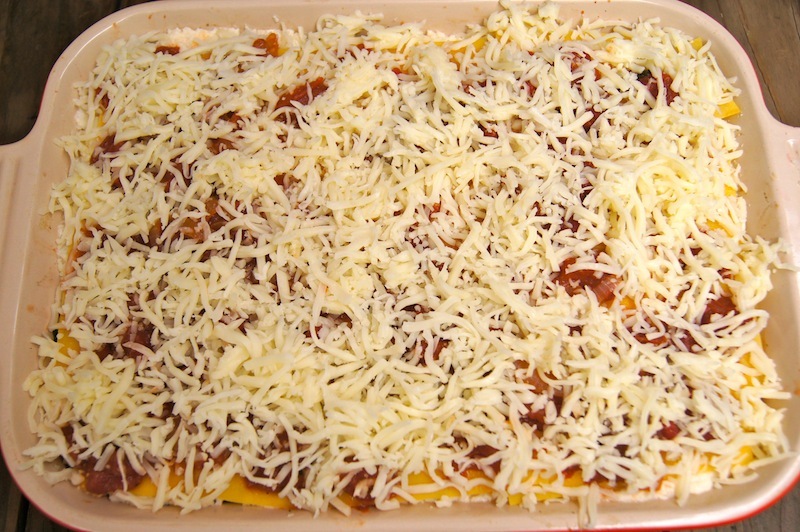 The lasagna should be bubbling along the edges and the top should be golden brown. 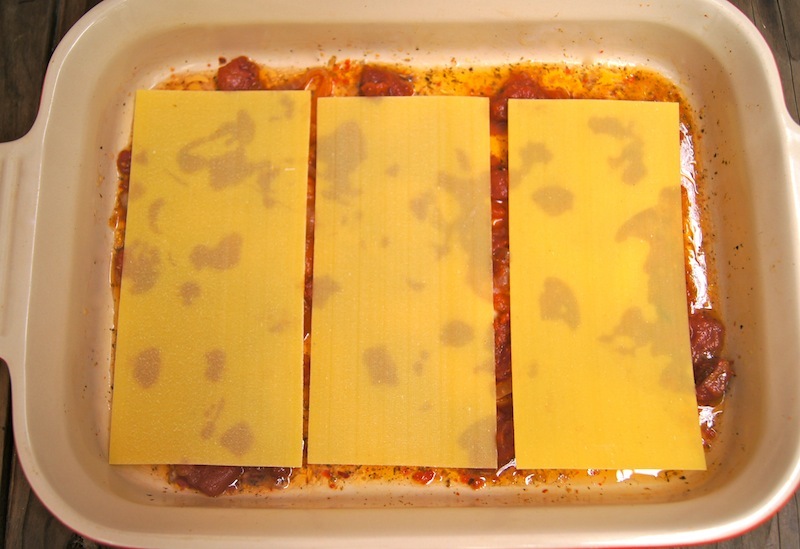 Step 13: Let the lasagna sit for at least 20 minutes before serving.